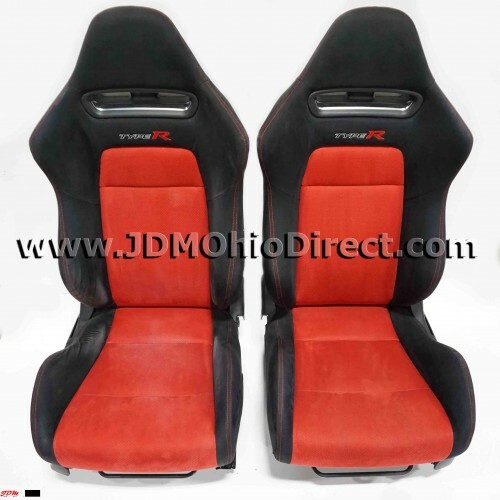 JDM FD2 Civic Type R Red/Black Front Seat Set. Seats are in great condition, with very minor bolster wear on right outer seat. Material is red and black suede with red stitching. Actual pictures shown.